I was thinking of all the raw fish I ate in one night alone in Japan at a restaurant and cherishing that nice memory in the company of good long time friends. (Click on each photo to view it larger). A question came to my mind. Who first adopted the practice of eating raw fish, the Japanese or the Italians from Puglia? Yes, not the entire Italy is accustomed to eat raw fish, but in the Southern region of Puglia, where my roots are, the ritual of eating raw fish happens once a week at least every Sunday and it is not called sushi. No family Sunday meal will be left without it, raw fish is the king of every tables, always served before dinner allowing the palate to taste the sea and the freshness of its fruits. A variety of raw octopus, mussels, hairy mussels (cozze pelose), other shellfish, sea truffles, sea urchins and allievi (cattle fish) is served in symbiosis with a few glasses of bubbles, then the real dinner can start. The difference between the Japanese raw fish (sushi) and the Puglia style raw fish is that in Japan raw fish is served almost always on white rice and it is dry only wet with soy sauce. In the Puglia style, raw fish is served wet with the sea water dripping, occasionally wet with a few drops of lemons, especially on mussels, otherwise there is no other condiment, just the sea flavor. Fish over there does not need added condiment in that the Adriatic Sea is shallow and concentrated with salt. Nature does it all for us. 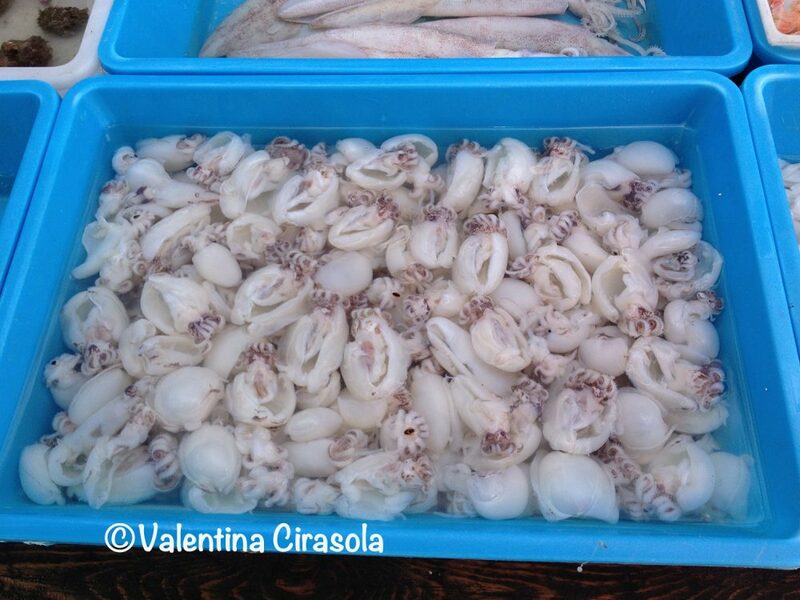 This old Puglia gastronomy tradition goes back to the 1500’s, when selling raw octopus was regulated by the local government and had to be sold in rolls of 890 gr. each (31.4 oz.). Imagine how important it was to eat raw fish that the government had to regulate it. It is a common appetizer to find in restaurants, served every day of the week if the weather has been good and the catch of the day comes in regularly. The restaurant owners usually are the only one responsible to guarantee 100% freshness of the fish. Often black mussels will be paired with the sharp caciocavallo cheese, similar in taste to the aged Southern Italian Provolone cheese, with a hard edible rind. 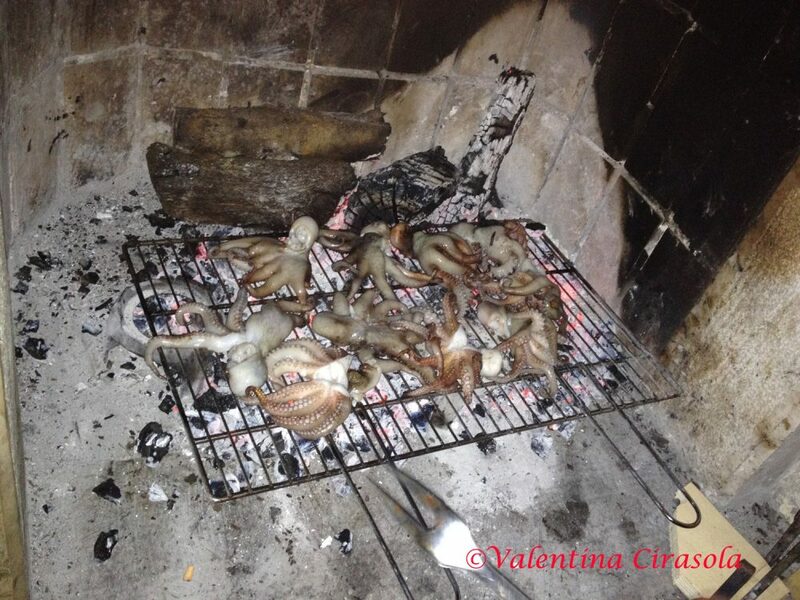 The octopi must be properly curled, the allievi (cattle fish) thoroughly cleaned of the interiors and the mouth, tuna, mullets and cod finely sliced for carpaccio and the fresh delicate anchovies carefully cleaned of any bones ready for a marinade of oil, lemon juice salt, pepper and parsley finely chopped. Bear in mind that in Italy we believe the months with the R are not good to eat mussels (Jan-Feb-Mar-Apr-Sept-Oct-Nov-Dec) and the months without the R are not good to eat oysters because they are full of eggs and fattier (May-June-July-Aug). Here in the Unites States we eat them all the time, this rule is really not observed and I am always wondering if I am doing the right thing. Another scene worth filming is the eating of the raw fish in the streets near the port area of any city in Puglia, where the fisherman bring the catch of the day and where they also mend the fish nets when they are not out at sea. The scene is colorful, playful and joyous. Some fisherman scream to get the customers’ attention and some sing. They show off a large display of fresh fish inside of baskets made of olive wood and set on rough tabletops. There, they propose a taste of sea urchins, at time accompanied with a piece of fresh bread and ice-cold beer and other times just as the offering of the sea is, fresh and natural. 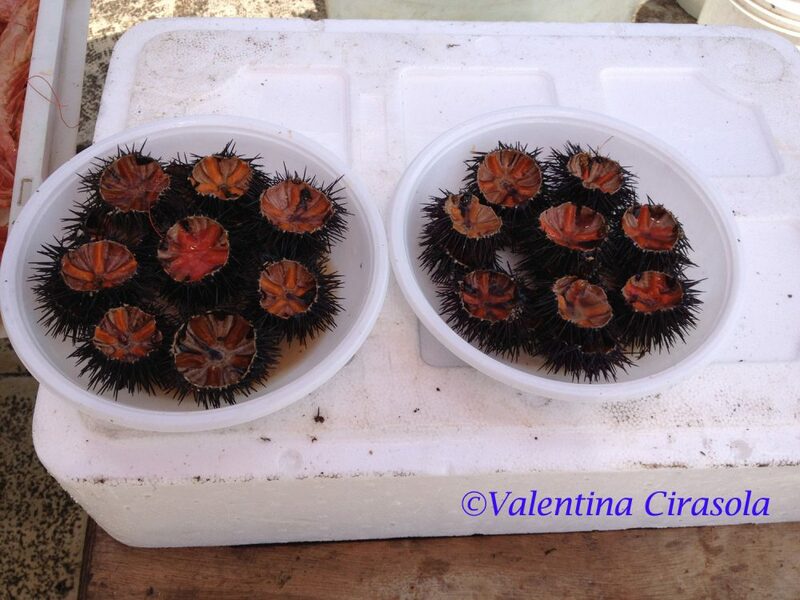 Skilled fishermen never poke their hands while opening the sea urchins in half. They make a perfect cut to expose the reddish-orange meat inside; a small piece of bread will scoop out all the goodness from inside of the black shell. Restaurateurs who have lived abroad for a while brought back to Puglia the knowledge they have acquired in foreign countries. Many sushi bars have sprung up in Puglia, as all over Italy, but when the Puglia people want to do a serious eating, they will always go to what is familiar. They will always prefer the traditional specialties of their land and sea to the fashionable or trendy food of other parts of the world. They will stay faithful to what has been familiar to them for centuries. It takes no ability to eat raw fish, just clean, wash and eat it, but it takes ability to prepare the simplest food, poor of ingredients and make it taste like royal food. One of the many simple fish dish in Puglia is Baked Anchovies or Alici Arraganate as we call it. Take the center bone from inside of the anchovies, wash and pat dry. Align anchovies in a crock-pot. Add breadcrumbs, chopped garlic, mint, capers, oregano. Drizzle oil and sprinkle a few drops of plain vinegar. Bake in the oven for only 12-15 minutes uncovered. It’s so simple that is almost a non-recipe. 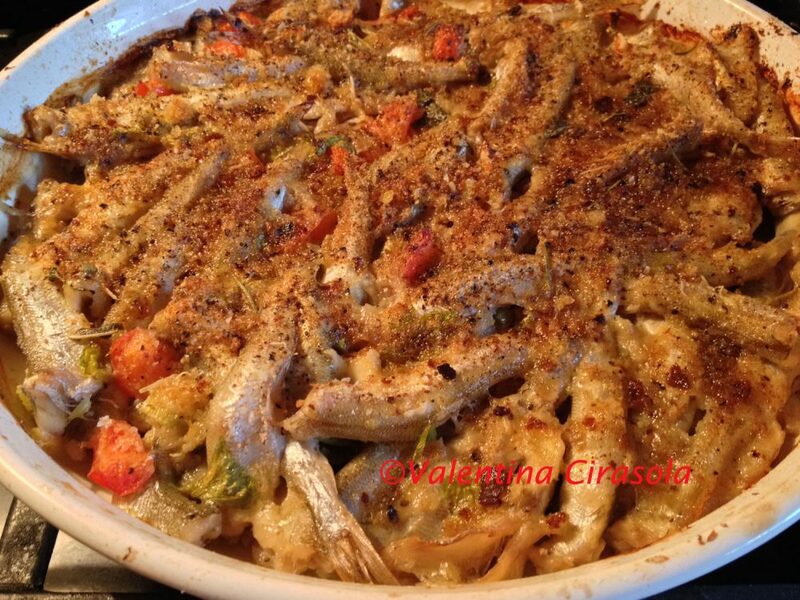 Another simple dish is Octopus Casserole or Casseruola Di Polipetti as we call it in Italian. Place the octopus in a casserole with chopped onion, dry white wine, fresh tomatoes, olive oil, salt, pepper and parsley. Bake until the octopi are fork tender. The sauce is good to eat with bread or to top a plate of pasta. and in this site on the Books’ page. Now, my friends from Japan need to go over to Puglia with me to experience raw fish my way. 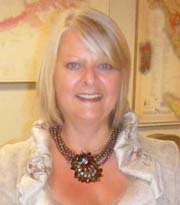 Her third book ©RED-A Voyage Into Colors on the subject of colors is in production and will be released by end of April 2012.